Photo One – The BEFORE shot. 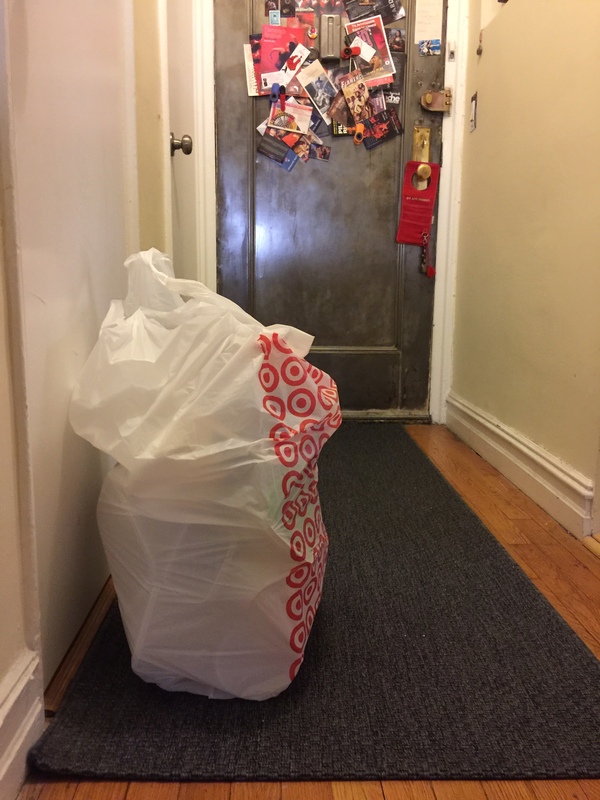 The operative is “Less is more.” So, rather than write about the bag today, I thought I’d just show the before, after, and after the after shots. This is one of my kitchen cabinets. 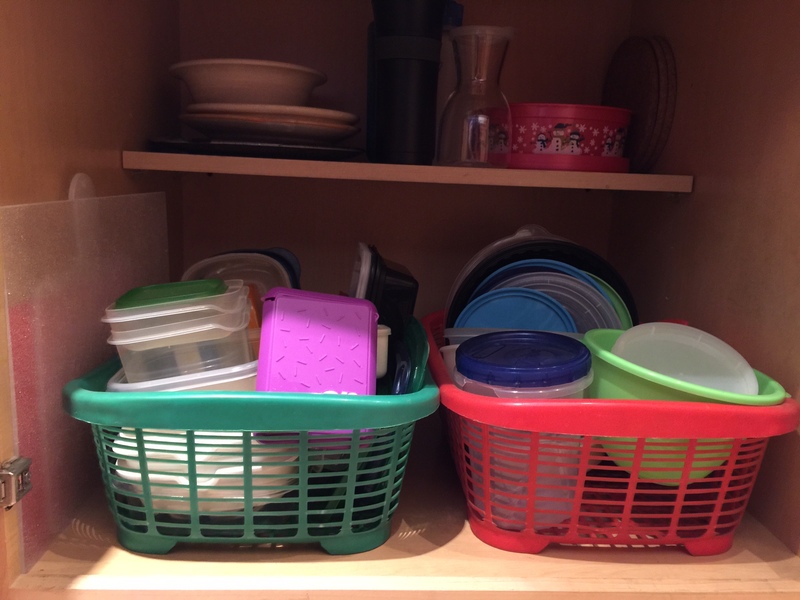 We collect way too many plastic containers, wouldn’t you agree? Photo Two – The AFTER shot. Cutting boards on the left, square shapes next, then round. 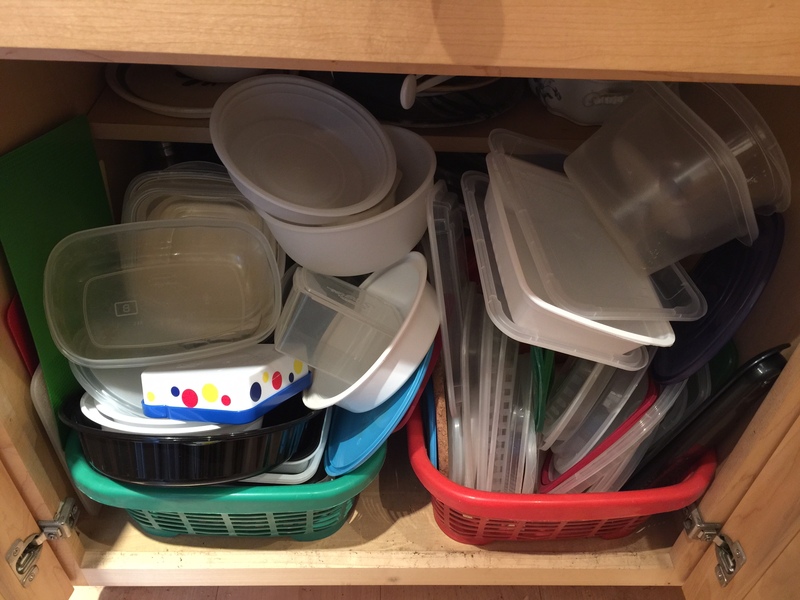 Lids with bottoms – it’s the new world of plastic! And this is the very bag that goes out the very door later this afternoon! Photo Three – The AFTER the AFTER shot.